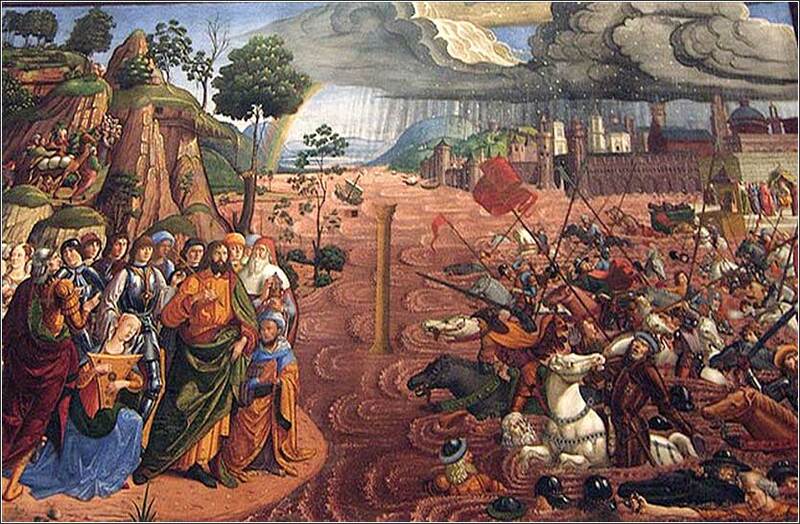 The Crossing of the Red Sea, Sistine Chapel, attributed to Biagio d'Antonio, ca. 1481. Although Pharoahs's army looks distinctly like 15th century Florentine cavalry, the panic and pain of getting "drownded" is captured dramatically. A rare double video day, as we have two versions of Mary Don't You Weep. The first is a window into the distant past, a very old (1932) documentary of "The Georgia Field Hands". Here is a more musical version by the great Mississippi John Hurt. And the Egyptians pursued, and went in after them to the midst of the sea, even all Pharaoh's horses, his chariots, and his horsemen. And it came to pass, that in the morning watch the Lord looked unto the host of the Egyptians through the pillar of fire and of the cloud, and troubled the host of the Egyptians, and took off their chariot wheels, that they drave them heavily: so that the Egyptians said, Let us flee from the face of Israel; for the Lord fighteth for them against the Egyptians. And the Lord said unto Moses, Stretch out thine hand over the sea, that the waters may come again upon the Egyptians, upon their chariots, and upon their horsemen. And Moses stretched forth his hand over the sea, and the sea returned to his strength when the morning appeared; and the Egyptians fled against it; and the Lord overthrew the Egyptians in the midst of the sea. Thus the Lord saved Israel that day out of the hand of the Egyptians; and Israel saw the Egyptians dead upon the sea shore. And Israel saw that great work which the Lord did upon the Egyptians: and the people feared the Lord, and believed the Lord, and his servant Moses. There is not much to say about this wonderful story, as what happened is clear from the face of the text. Moses raised his staff, God parted the sea, and the Hebrews — having packed up their camp, and so with all of their baggage and animals — traveled safely to the opposite shore. They walked on dry land, bravely, as the sea formed walls of water on either side of them. When the Egyptians tried to pursue, the wheels of their chariots got stuck and came off. The Egyptians lost their nerve and tried to reverse course: but before they could get back, morning arrived, the Hebrews were by then safely across, and God pulled the plug on the walls of water. Thus, Pharaoh's army "got drownded". There has been a huge amount of scholarship over the past hundred years, attempting to show how this might have happened naturally, but it is mostly nonsense. 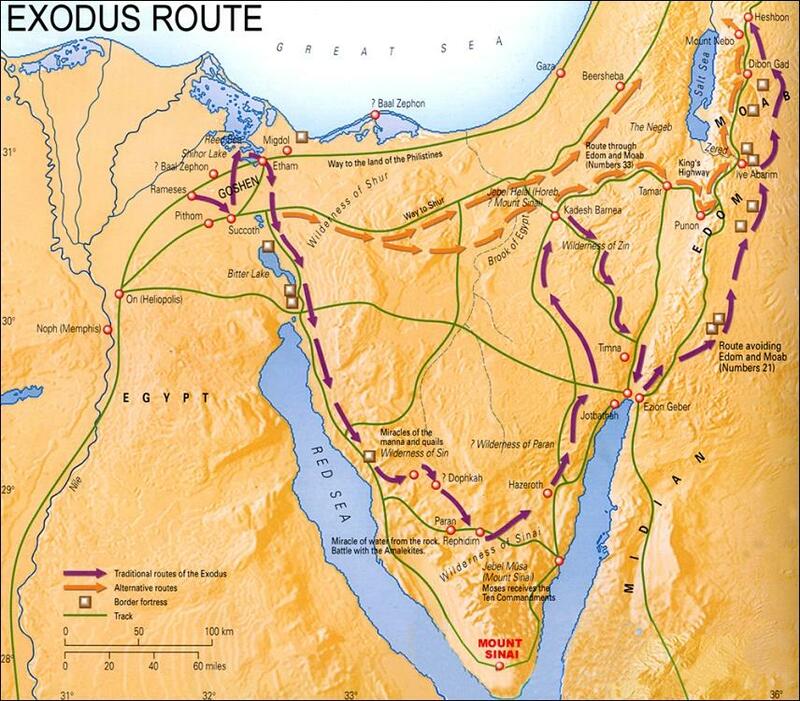 If you don't trust the account in Exodus, you have no reason to think the Hebrews were ever in Egypt in the first place, since there is no other record of it. 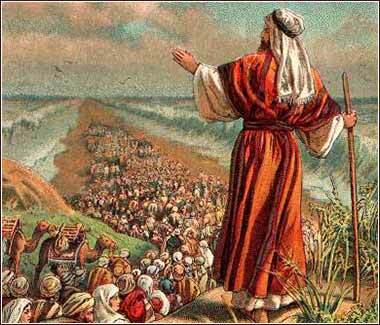 If you do trust Exodus, no natural phenomenon can possibly explain what happened. The one point at which the Old Testament may not agree with modern usage is that the Hebrews might have crossed a body of water no longer called the "Red Sea". 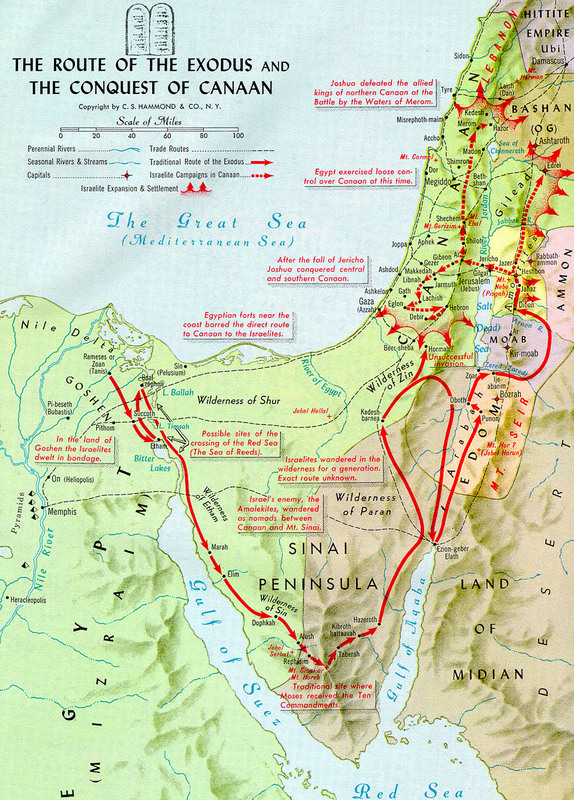 But the border between Sinai and Egypt is littered with deep bodies of water (just look at the Hammond Map, linked above); these may have connected to the Red Sea over 3,000 years ago, or they may have been known as the Red Sea collectively. Old illustration from a children’s Bible.